Ordinary believers are stepping into the streets to pray effectively for their neighbors. With eyes open to real needs and with ears open to the prompting of God's Spirit, intercession becomes an adventure. Prayer walking gives you a practical menu of proven ideas to begin preparing whole cities for spiritual awakening. And the stories and statements of more than one hundred prayer walking Christians will fire your imagination for your first steps. Prayer-Walking: Praying On-Site with Insight by Steven C. Hawthorne;Graham Kendrick was published by Charisma House in July 1996 and is our 25334th best seller. 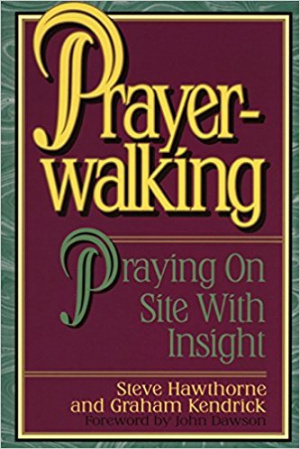 The ISBN for Prayer-Walking: Praying On-Site with Insight is 9780884192688. Be the first to review Prayer-Walking: Praying On-Site with Insight! Got a question? No problem! Just click here to ask us about Prayer-Walking: Praying On-Site with Insight.